In typical fashion, gift buyers the world over are exclaiming, "how is it Christmas already?" We're just as shocked as you are, but in a bid to alleviate your stress at having to find yet another music related gift for the producer(s) in your life, we've already found 17 new contenders to add to their stocking. 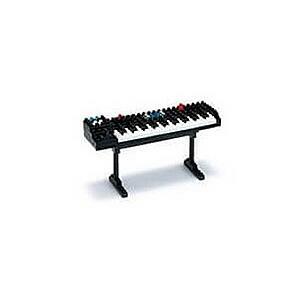 Music producers by their very nature enjoy getting stuck into the tiniest details, so the Nanoblock Synthesiser is the perfect stocking filler to add to the list, as long as you’re OK with losing the recipient for hours as they put it together. The odour of a well-used studio is something we’re all familiar with, but producer breath isn’t as widely talked about. 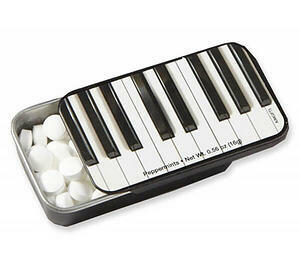 This keyboard themed tin of mints is perfect for covering the stench of coffee or Red Bull after an intensive session. 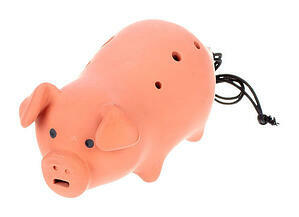 Plus, it can be reused for storing tiny studio essentials! 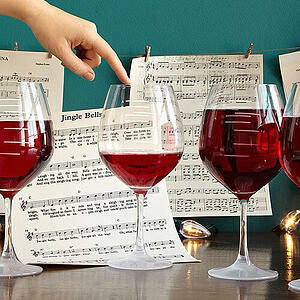 When the mood falls flat - their joke, not ours - it’s time to bring out the musical wine glasses. Made from lead free crystal, this set of 2 glasses adds a musical flavour to your favourite, festive bottle, though we imagine one key will be performed more than others. 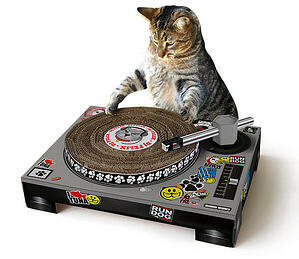 Curb your fuzzy friends furniture scratching and entertain yourself at the same time with this scratchpad that promises at least some mild chuckling. 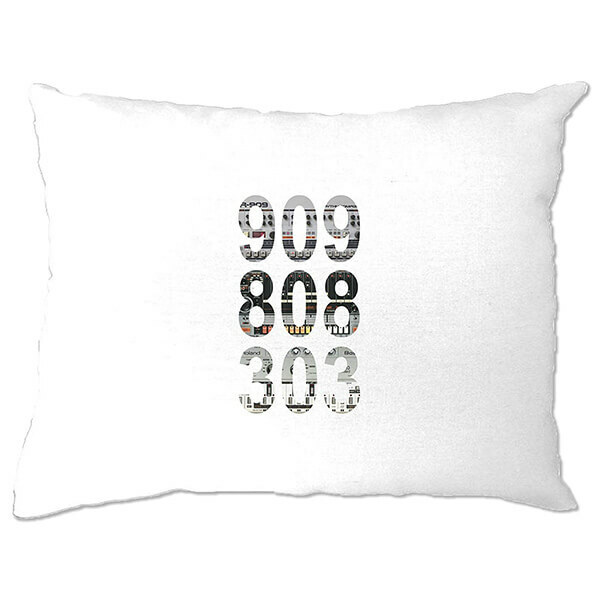 Ideal for the bedroom studio dweller, this pillow case is adorned with 3 iconic releases from Roland, guaranteed to help dream up new beats and basslines*. 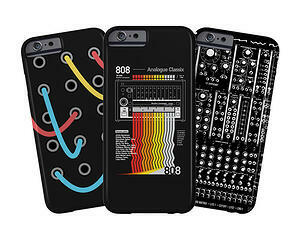 Share your love for all things synth whilst protecting your phone with one of these themed phone cases. There are 9 pages to choose from so good luck deciding on your favourite. 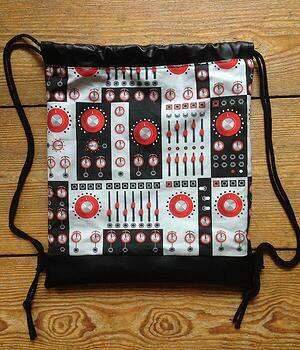 The perfect place for all the new modules you've picked up, this 'Eurucksack' comes from Soft Machines, the same people behind last year's wonderful Korg MS 20 pillow. 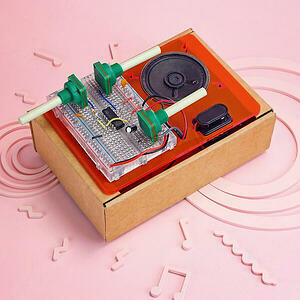 Their store is packed with other excellent, soft musical creations that make for fantastic gifts. An excellent gift for the electronic musician, not to mention a fantastic addition to a studio’s kitchen, though please keep all liquids away from the gear! What is your fridge missing? 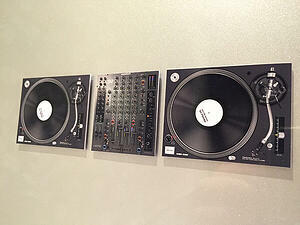 A Technics 1210SL and Allen & Heath mixer, obviously. 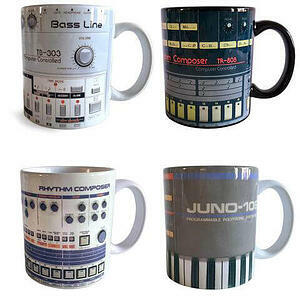 Also available are Roland’s TR-808, TR-909, TB-303 and Juno-106, but we feel they’ve been well represented already. 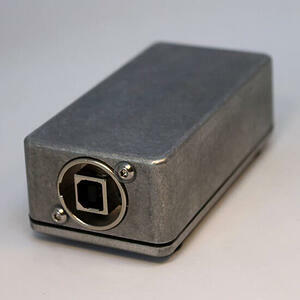 If you or a friend are the type of people that tend to break or misplace iLok’s and USB sticks then this handmade aluminium box could be the answer. They take 2 weeks to make, so try not to lose or break the iLok before it arrives. 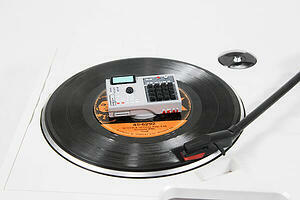 Perhaps our favourite addition to the list is this adorable MPC2000xl adapter for all those 45s in your collection. 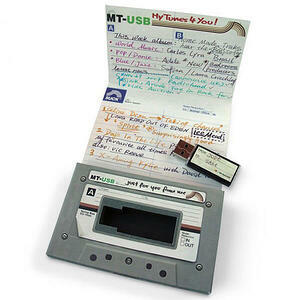 Also available are other retro throwback adapters including some classic gaming systems! 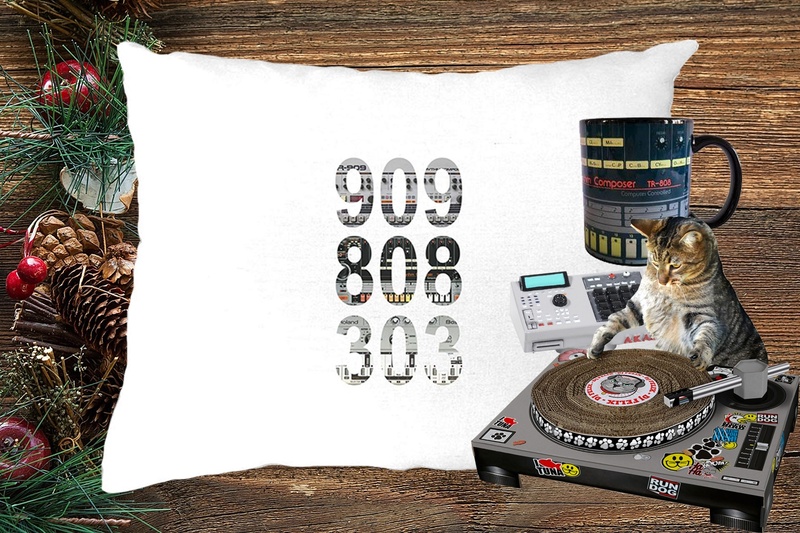 Socks are synonymous with Christmas, so treat the music producer in your life to a pair of their own Model D’s, especially if you bought them the 808 socks we listed last year. 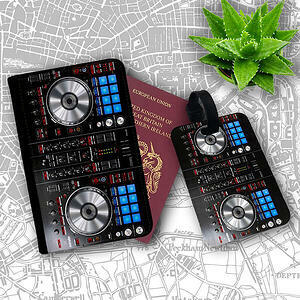 Share your love of decks with a custom Pioneer DJ passport case and luggage tag, which ironically, are scratch resistant. Tired of bog-standard toilet paper? 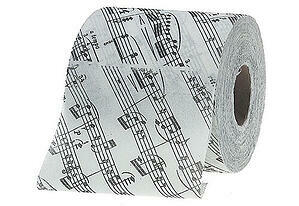 Stave off lavatory boredom with the addition of some sheet music toilet paper. A fun way to spend your Christmas morning, and as there’s no soldering involved, there’s no chance of any fire-related mishaps to ruin the day! Non-fire-related mishaps are still possible. The mix tape has sadly faded into obscurity as technology has moved on, but rather than sulk about it, this gift embraces technology and reimagines the mix tape for the 21st century.